Lets face it, we like to think that we know what is going on with our cars. We look for the causes of that odd noise, and when something is dripping from the bottom we still give it a whiff in hopes of distinguishing the difference between transmission fluid and plain water. Knowing your way around a car can end up saving you a lot of money, and having the right tools at hand can help turn your garage into you makeshift auto shop. 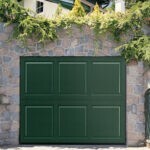 The leading supplier of garage doors in Denver, Colorado understand your desire to become a weekend mechanic, and they have composed a short list of the items that you need to transform your new garage into the auto center that you want. Even during the day, lighting is sometimes minimal inside of your garage, so a relatively cheap solution is to install both ceiling and front walled fluorescent lights. These will provide plenty of light when your garage door is closed, but a few work lamps will help to finish off the look of a real pro center. Look for portable lights that can clip or hang onto the underside of the hood, giving you a clear view of your motor and all other internal components. Now for those hard to reach fixes on the underside of your vehicle. While the standard car jack is perfect for replacing a tire, those looking to complete more advanced repairs will need to purchase a lift. Hydraulic floor jacks seem to be the best option, as they offer more than a three-ton weight capacity. These lifts should provide just enough leverage to allow you to reach all parts of the chassis. The fact that they are easy to breakdown into smaller parts means that they are easy to store. We have already shared tips for keeping an organized garage, so we recommend selecting a certain area to store all of you tools so that they are easy to find and access when starting a project. Anyone looking to do any sort of automotive work will want to look into some of the many custom flooring options on offer at Colorado Overhead Door Company. You will want to select a floor that will allow for easy cleanup from any oil spills, as a standard concrete floor will quickly become a spotted mess. Check out our ‘Garage Repair’ posting on installing an epoxy floor in your garage to learn of the advantage of selecting to go with this material. Not a fan of having all of your projects on display? Depending on your location, a drive-thru garage might be the solution. Many enjoy working outside when the weather allows, but having to do so in your driveway might not be the optimal choice. 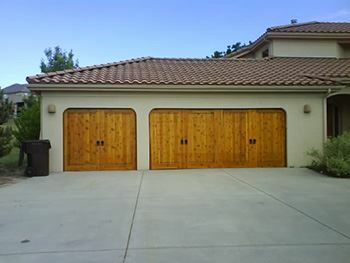 Homeowners can opt to have two garage doors installed, allowing for you to pull your vehicle all the way through to the back side of your property. While this option does require a bit more work, the Denver garage door experts at COHDCO can help you map this option out if you select to go this route. By having the ability to actually do your work outside, you help to prevent creating a messy and cluttered garage. Another obvious addition would be to add a work sink in your garage. While most garages have a water hose picket, having an actual sink installed gives you the option of using hot water to help remove the greasy stains often associated with auto repairs. If building a new garage, do cross this with our garage technicians so that they can help you plan accordingly. Now it is time to set up and organize your tools. These simple additions have now transformed your garage into the repair shop that is sure to make all of your friends jealous. Nothing left to do but sharpen up on your mechanical skills. Best of luck, and if you are looking to either build, remodel or repair your garage, give the technicians at Colorado Overhead Door Company a call for a free pricing quote.